FREDERICKTOWN — The Northmor Golden Knights track and field teams hit the road for a short trip to Fredericktown on Tuesday, April 10 to compete in a Knox-Morrow Athletic Conference quad-meet with the hosting Freddies, the Danville Blue Devils and the East Knox Bulldogs. Both the boys and girls teams from Northmor came away with victories on the day. For the Lady Golden Knights, they were able to outlast the runner-up, hosting Lady Freddies; 93-91. East Knox finished third with 36 points and Danville rounded out the scoring with 33 points. Northmor claimed two relay titles and four individual event titles on the day. In the 4×200-meter relay, the foursome of Frankie and Vivienne Cutrupi, Bailey Wiseman and Sabrina Kelley claimed the title with a winning time of 2:00.51. The versatile Knights won the 4×400-meter relay with a time of 4:33.22. That relay squad consisted of Brooke Bennett, Julianna DiTullio, Brooke Huntsman and Hope Miracle. Bennett and Miracle were also busy in the individual events for the Lady Golden Knights. Bennett took first in the 400-meter dash (62.94) and the 200-meter dash (28.30) while Miracle cleared a height of nine feet to win the pole vault. Northmor’s other first place finish on the girls side went to Maddie Jordan in the discus, winning the event with a throw of 84’8”. Scoring on the boys side of the meet went as follows: 1. NORTHMOR- 92; 2. Fredericktown- 83; 3. East Knox- 61 and 4. Danville- 17. The boys team would not win a relay event on the day but faired well in the sprints and field events en route to winning seven individual events. Conan Becker and Meechie Johnson earned a pair of individual victories apiece for the Knights. Becker won the 100-meter dash (11.63) and the 200-meter dash (23.51) while Meechie cleared 5’10” to conquer the field in the high jump and won the long jump with a distance of 21’¾”. Drew Zoll claimed the top spot in the 400 with a first-place time of 54.47 and Mostyn Evans ran to victory in the 800-meter run with a time of 2:15.94. Rounding out the first-place finishes for Northmor was Aaron Berg. Berg cleared 10 feet even to win the boys pole vault. Northmor will be back on the track on Saturday, April 14 when they head to the Loudonville Invitational. On Tuesday, April 17, the Golden Knights are set to host a home tri-meet against East Knox and the Buckeye Valley Barons. 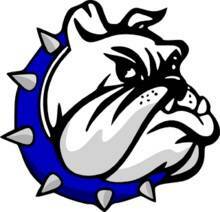 CAREY — On Monday, April 9, the track teams for the Crestline Bulldogs headed to Carey to participate in a quad-meet with the hosting Blue Devils, the Wynford Royals and the Bucyrus Redmen. Scores on the boys side were as follows: 1. Wynford- 79; 2. Bucyrus- 61; 3. Carey- 50 and 4. CRESTLINE- 47. Scores over on the girls side of the meet were: 1. Carey- 97; 2. Bucyrus- 64; 3. CRESTLINE- 33 and 4. Wynford- 31. The Crestline squads will be back in action on Saturday, April 14 at the Fairbanks High School Invitational. On Tuesday, April 17, the Bulldogs will take to the road and head to Loudonville to compete with the Redbirds. 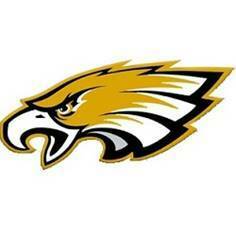 SYCAMORE — Also on Monday, the Colonel Crawford Eagles tracksters headed to Mohawk High School for a Northern-10 Athletic Conference tri-meet with the hosting Warriors and the Seneca East Tigers. Crawford’s boys team claimed another first place finish, their fourth of the season, scoring 68 points to edge the runner-up Tigers (64). Mohawk’s boys finished in third place with 24 points. Over on the girls side, the Lady Warriors defended their home track and defeated the runner-up Lady Eagles; 63-51.5. Seneca East rounded out the scoring with 40.5 points. The Eagles will hit the road to compete in the Glen Oak Elite Meet on Saturday, April 14. On Monday, April 16, Colonel Crawford will host an N-10 tri-meet and welcome the Buckeye Central Bucks and Wynford Royals to town.